Chuck Close suffers from prosopagnosia, the inability to recognize faces. Time to get up *Close* and personal with one of America's best contemporary artists. He might not recognize you otherwise. 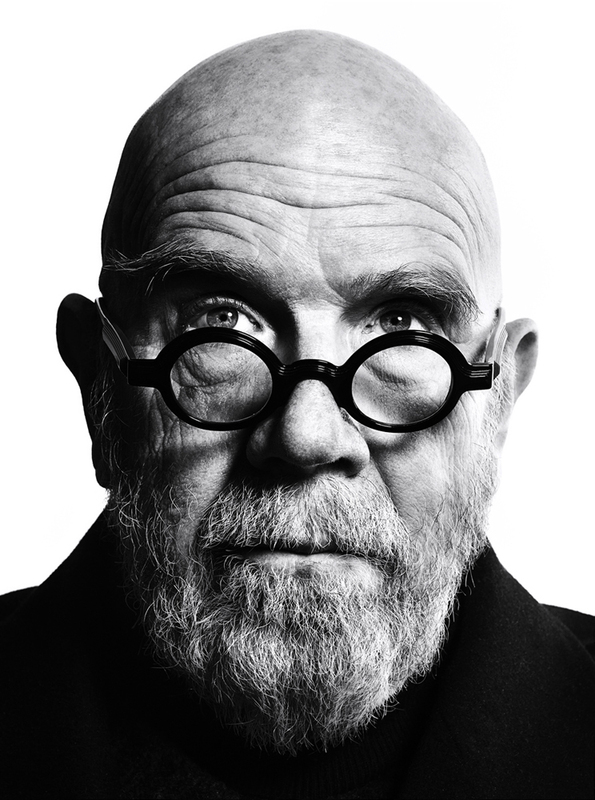 Chuck Close is well known as an inspiring painter who overcame seemingly insurmountable odds to become a prolific artist and New York sophisticate. The premature death of his father at the age of 11, suffering from dyslexia and Prosopagnosia – a neurological disorder that makes it difficult to recognize faces – as well as a neuromuscular condition and near full-body paralysis in his adult years were not enough to keep this painter from putting down his brush. His larger than life portraits of close friends and family influenced by the likes of Jackson Pollock and Willem de Kooning have cemented him in the annals of art history as “the” iconic contemporary American painter. That being said, let’s talk about his rowdy college days! After transferring to the University of Washington from Everett Junior College, Close and his friends were living away from home for the first time ever, and got involved in your typical college shenanigans. The large, run-down house they rented near campus wasn’t just a perfect studio for Close’s massive paintings, but was also a great house for wild college parties. Close was social and usually at the center of attention, wearing some conspicuous costume - a preoccupation that started in childhood when he would dress up as a magician. He wore ruffled shirts and lavender paisley vests sewn by his mother along with his favorite bowler hat (a shocking mental picture, I know). The parties would often get so out of hand that local police made regular visits, slowly driving by every weekend around eleven o'clock and shining a spotlight across the house. On one occasion, Chuck gathered his friends together at around 10:30 and they began rehearsing. A few minutes later, the police made their usual rounds, shining their light across the house. At the end of the porch, in perfect timing, Close and his friends did a Bing Crosby/Bob Hope hat and cane line dance, while the spotlight shone on them. Even the police were cracking up! So, the lesson of Chuck Close’s story is two pronged: first, whatever life throws at you, never give up on your dreams; there is always a way to make them happen. Second, if you’re ever in trouble with the police, a Singin’ in the Rain inspired song and dance will surely get you out of a jam (or at least get you a chuckle). While we’d like to leave you with a warm, fuzzy feeling about Chuck Close, we should mention that like many famous and influential men in the last couple of years, he too was accused of sexual misconduct by his female models in 2017. He pretty much admitted to the accusations and didn’t seem too sorry about it, saying "I never reduced anyone to tears, no one ever ran out of the place. If I embarrassed anyone or made them feel uncomfortable, I am truly sorry, I didn’t mean to. I acknowledge having a dirty mouth, but we’re all adults." So, much like with Kevin Spacey and House of Cards, we leave it up to you to decide whether this changes how you see Chuck Close and his paintings. Finch, Christopher. Chuck Close Life. New York: Prestel, 2010. In a moment that Close calls ominously “The Event,” the artist suffered from a spinal artery collapse which left him seriously paralyzed. As if dude didn’t have enough problems. He’s tenacious though, and continued to paint by taping a brush to his arm. Charles Thomas "Chuck" Close (born July 5, 1940) is an American painter, artist and photographer. He makes massive-scale photorealist portraits. Close often paints abstract portraits of himself and others, which hang in collections internationally. Close also creates photo portraits using a very large format camera. Even though a catastrophic spinal artery collapse in 1988 left him severely paralyzed, he has continued to paint. Check out the full Wikipedia article about Chuck Close.